Yesterday (June 8th) I received two awards that I’m very happy about. 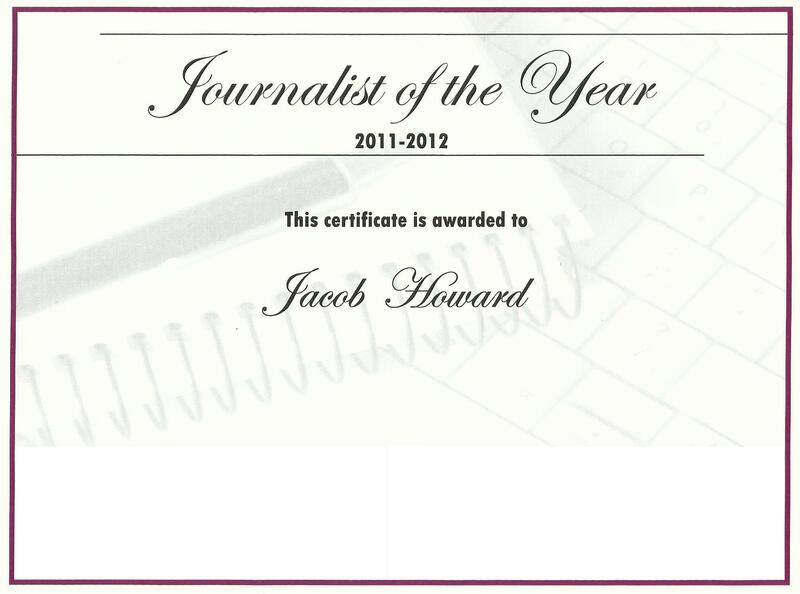 As you know, I was made the co-editor of the my school’s newspaper on the web. In November I was given the job and since then we produced six more issues that have been chock-full of articles. With God’s supervising (even though this newsite is not a Christian one I have been able to talk about very important issues with my peers) we started a science section and I mainly ran it, even though I did co-author a article with another student. Frankly, that article was one of my favorites and I’m happy to say that the person (who is not a Christian as far as I know) I worked with has kept up with this website and has learned, through the article we wrote together, that the Bible is to be trusted! It was truly an amazing time as I got time to talk to her about these important subjects. Well, with all the months of hard-work at editing, perfecting, adding minuet details and the such, we finished the year with a bang! And, next year we will start again right at it! Anyway, after all that work I was tickled pink when I found out that my teacher had nominated me for the school award of Journalist of the Year (first picture)! I couldn’t believe it and I am completely honored that I would receive this award. With my birthday being today (good old 16) I could not think of a better gift for my writing career. And then, to my surprise, when I received the award I found another award that was given to me. 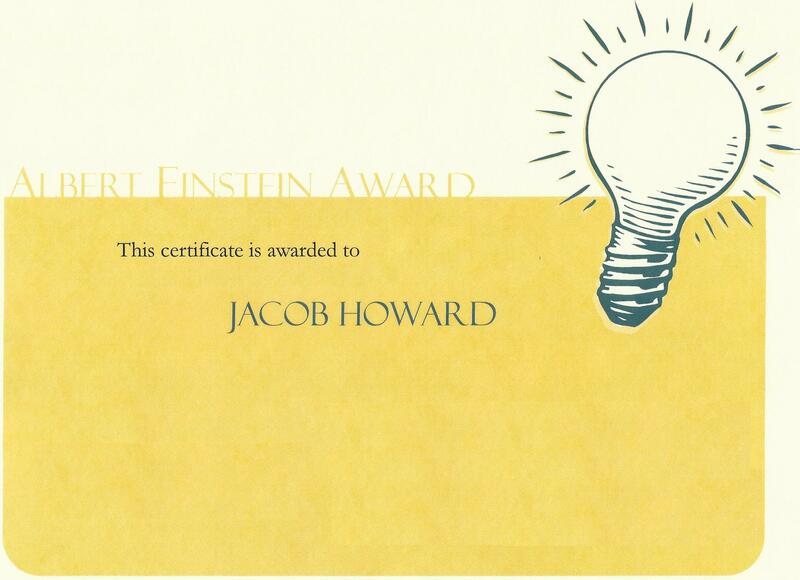 The “Albert Einstein” award (second picture)! I have yet to fully now what this award means but I’m pretty sure I got the meaning. God is truly working through this newsite that I work on and I’m glad to be there: helping! Of course I had to edit out the HS Principal and Head of School names (and the school name) for privacy reasons.